I find that my side dishes have become very routine. Roasted potatoes, roasted vegetables, salad etc… I’ll often throw in all the seasonal vegetables to provide some variety to both myself and my guests. I realized however how beautiful it is to highlight just one vegetable. For example, whole roasted cauliflowers have become a really popular side dish at many restaurants. Who would of thought cauliflower could be SO delicious all on its own. Ok… maybe with the help of a sauce or two. The cauliflower however, remains the star. 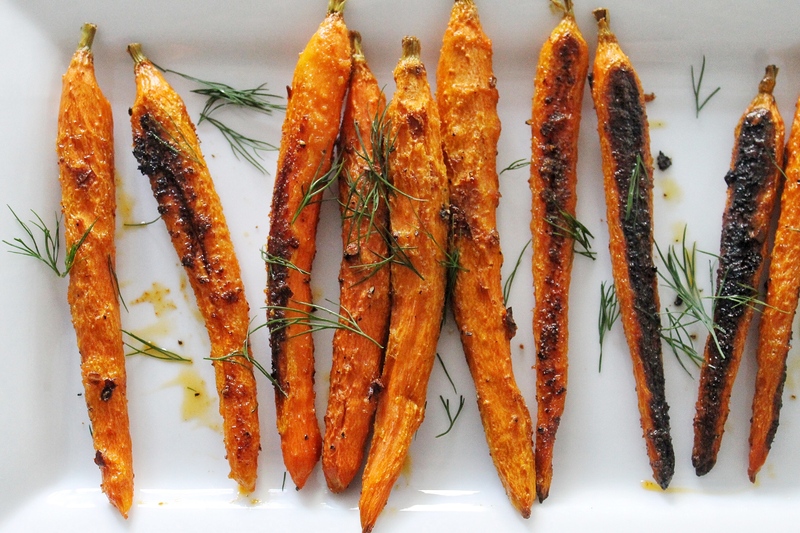 So as fall has arrived, instead of doing the same old roasted butternut squash, I wanted to celebrate the deliciously sweet and nutritious carrot! It has a large dose of vitamin A that will help keep your eyes and skin youthful. 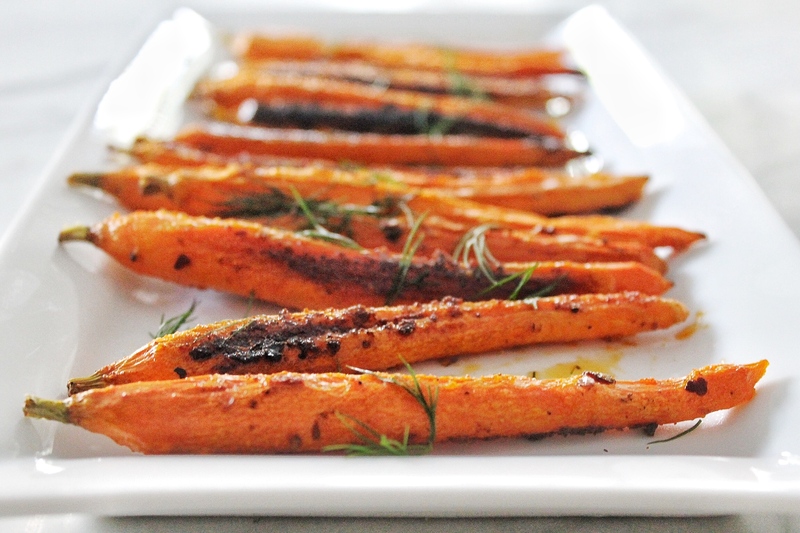 A little bit of spice and a handful of fresh herbs will make carrots the star side dish at your next meal. 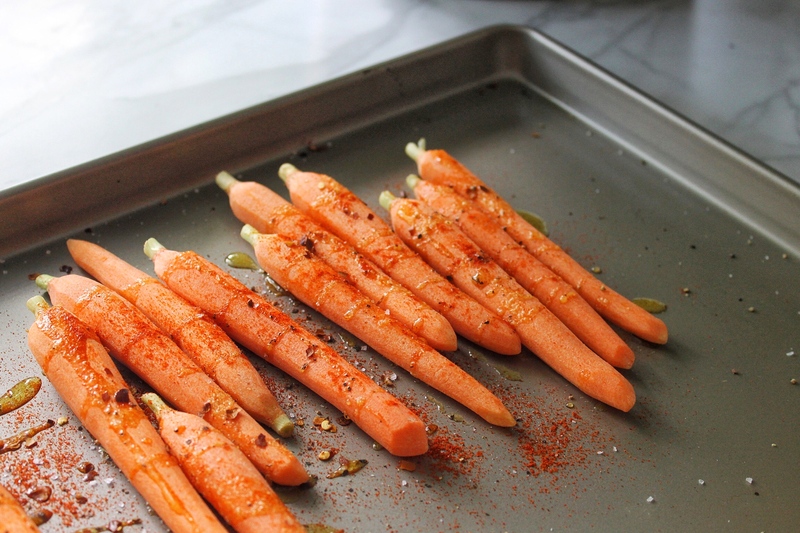 • 12-15 baby carrots (peeled) *if using regular carrots slice in half for quicker cook time! 2. In a small bowl, whisk olive oil, granulated garlic, paprika, and maple syrup. 3. 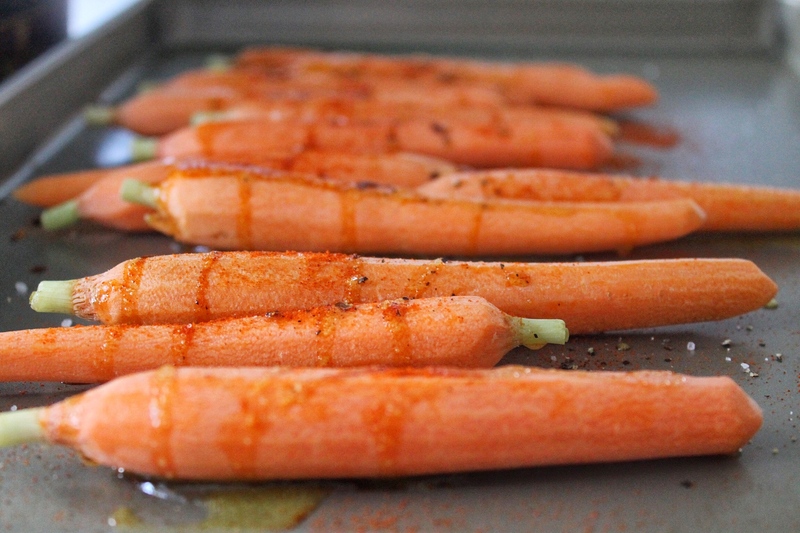 Brush carrots with olive oil mixture, making sure to coat all sides of the carrots. 4. Sprinkle with salt and pepper. Bake for 10 minutes then flip and bake for another 10-15 minutes. 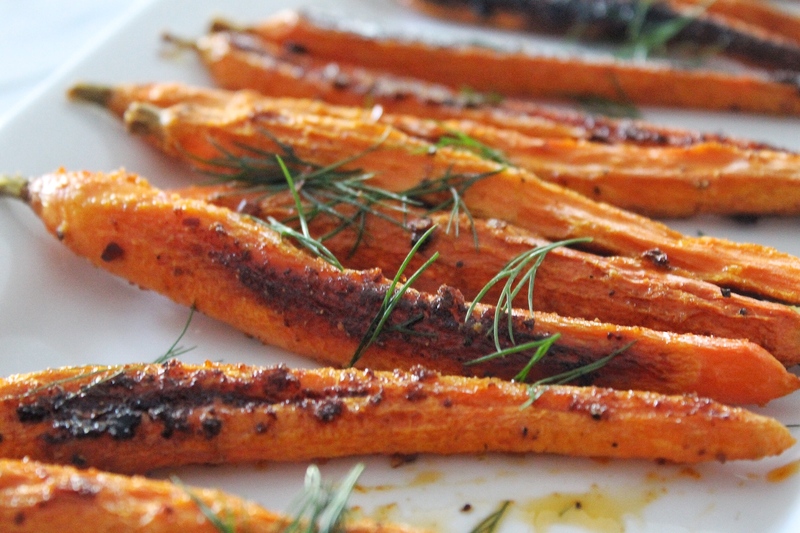 Carrots should be tender and browned. 5. Remove from the oven and sprinkle with freshly chopped dill. What a perfect mix of spicy and sweet! Always looking for easy, quick, delicious vegetable ideas!